RICHARDSON, TX - October 30, 2008 - The Hive Group today announces a significant new architecture with its powerful release of Honeycomb 5.5. The world's leading provider of treemap visualization software now offers more options than ever for enterprise and extranet deployments. Built around The Hive Group's core generation engine technology, Honeycomb 5.5 leverages common algorithms and functionality, while enabling diverse deployment environments. This approach addresses the unique needs of architects, suits the flexibility requirements of developers, and accommodates the security and management objectives of administrators -- all while supporting the varied platforms of end users. Honeycomb Thin Client, a server-side environment enabling the display and manipulation of treemaps without the need for any unique client-side software. “I'm very pleased to announce this breakthrough in architecture. The Hive Group's offering is unmatched in the industry. Our customers can reach global audiences while gaining unprecedented control in third-party integration — all while meeting the security requirements of the most challenging deployments. 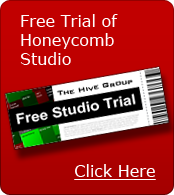 The blend of simplicity, power, and versatility with Honeycomb 5.5 allows worry-free deployments to the broadest audiences possible,” said Jim Bartoo, CEO of The Hive Group. As the inventor and “father” of treemapping, Ben Shneiderman has witnessed the transformation of treemapping from an innovative academic interface into a mission-important corporate offering. “The Hive Group's Honeycomb software has always provided a means to quickly and efficiently sift through volumes of data. Now, with the thin client architecture, The Hive Group has raised the bar, providing a flexible platform that meets the demands of global companies,” said Ben Shneiderman, Founding Director of the Human-Computer Interaction Laboratory at the University of Maryland. By eliminating the need for client plug-ins, the thin client architecture in Honeycomb 5.5 supports global deployments without the need for specific client-side configurations. The automated session management layer efficiently manages server-side resources, delivering exceptional speed and agility. Additionally, Honeycomb 5.5's Ajax data services are ideal for large businesses or government agencies with stringent proprietary, sensitive, or classified data requirements. The Hive Group develops enterprise treemap software used by major corporations and government agencies. These organizations embed the software into their business processes to visualize performance metrics, identify issues needing attention, perform follow-on analysis, and take action. The company’s software helps users navigate their daily responsibilities — focusing their attention and improving decision-making — so they can better serve their customers and improve performance.